These cupcakes are rich, moist and fudgy, topped with a light creamy chocolate espresso frosting, a drizzle of simple chocolate glaze and finished with a tiny swirl of sweet vanilla espresso buttercream and a chocolate covered espresso bean, pure decadence. Since Mother's Day is coming up, I thought I would post one of my mom's top cupcake picks. 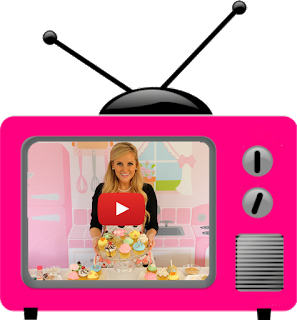 These are probably one of my mom's most top requested cupcakes... and that's ok with me because these cupcakes are one of my personal favorites too! 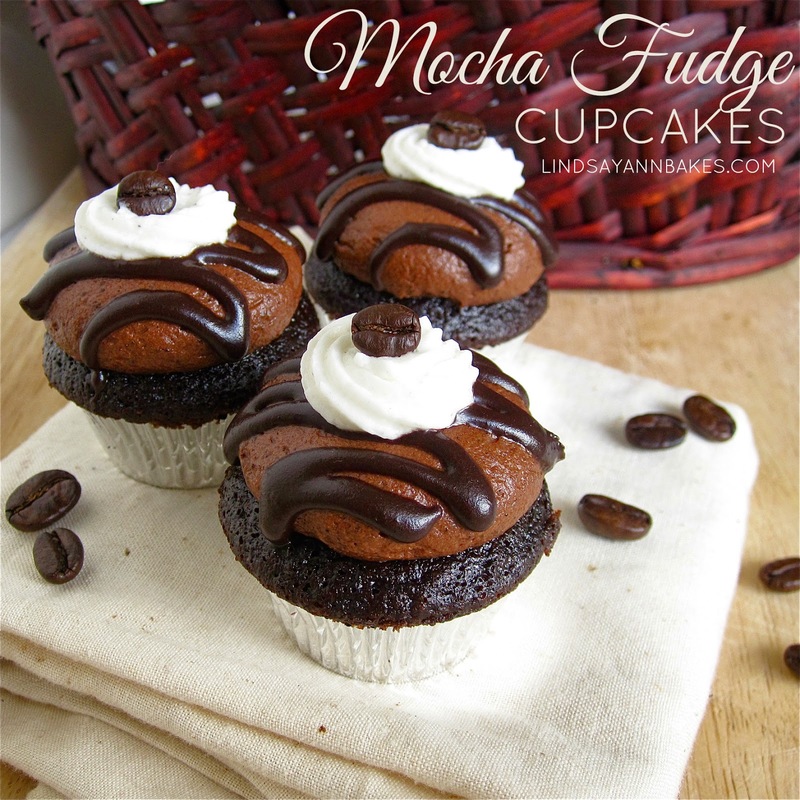 I love the combination of chocolate and coffee, and these mocha fudge cupcakes really take it to the next level. They are insanely rich and chocolatey, a perfect treat to enjoy with a hot cup of coffee or a tall glass of milk. With an electric mixer, beat butter on medium-high speed until smooth and pale in color, about 2-3 minutes. On low speed, beat in vanilla, espresso/coffee powder, and salt. Sift together cocoa and powdered sugar, and beat it in, about a half cup at a time, followed by the cream. Increase speed to medium-high and beat for about 3-5 minutes until smooth, light and fluffy. With an electric mixer, beat butter on medium speed until smooth. Gradually beat in powdered sugar and cream until smooth. Add vanilla, espresso powder and salt. Beat on medium speed for about 3 minutes until light and creamy. Place in a decorating bag fitted with a small star tip if desired. Frost completely cooled cupcakes with chocolate espresso buttercream. Snip a tiny piece off of the corner of the bag of chocolate glaze and drizzle on top of frosting. Pipe a little swirl of vanilla espresso frosting on top. Finish cupcakes with a chocolate covered espresso bean for garnish. I've also made these without the chocolate glaze drizzle and vanilla buttercream swirl for a quick simple variation. I used a little less cocoa in the frosting and adorned the cupcakes with chocolate sprinkles and chocolate covered espresso beans!